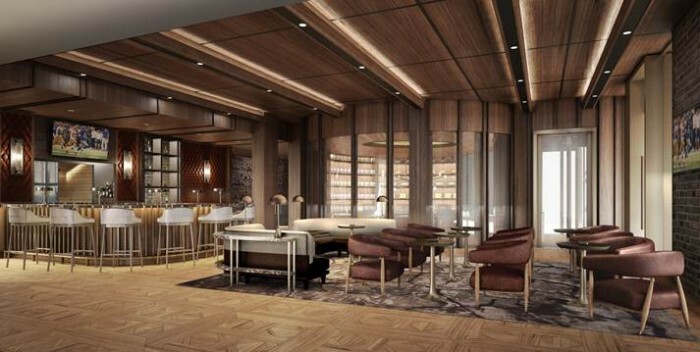 In its golden anniversary year, Caesars Palace continues to expand the empire with the addition of Montecristo Cigar Bar, expected to open March 2016. 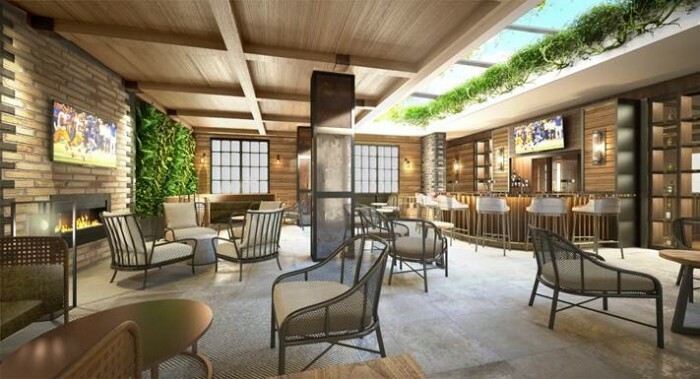 The cigar lounge will pair notable cigar offerings with fine whiskeys, small bites and more, in a contemporary, organic 4,000 sq ft environment, designed by the award-winning architecture and design firm Rockwell Group, and executed by Bergman, Walls & Associates. Cigar aficionados will appreciate the cigar retail area and humidor, offering renowned brands like its namesake Montecristo, Romeo Y Julieta, H. Upmann, Padron, La Flor Dominicana, Arturo Fuente, Ashton, San Cristobal, La Aroma de Cuba, Mi Amor, Las Antilles and My Father, as well as a variety of others. The retail shop and humidor are comprised of two intersecting circles with custom curved glass walls and shelving. In the retail shop, floating wood and glass jewel cases create an elegant display for the cigars. Top-of-the-line accessories will also be available for purchase, including S.T. Dupont. The spacious 400 sq ft humidor can store up to 1,000 cigars in a climate controlled environment, one of the largest in the city. The transparent walls visually connect the shop and humidor with the bar/lounge, highlighting the relationship between the three areas. Intended to reflect and compliment the fine selection of cigars, Montecristo Cigar Bar offers guests sensible and classic beverages, as well as rare, highly-coveted spirits. For connoisseurs, the Captain’s List will intrigue and delight. Highlights include Pappy Van Winkle vintages, 18 year-old Elijah Craig Single Barrel, Thomas H Handy Sazerac “Antique Collection” and more. The Louis XII Perfect Pour will be offered tableside, served in crystal Riedel glassware. Cigar pairings and suggestions will also be a feature, taking out the guess work to provide guests a sensational combination. Throughout the entire Montecristo Cigar Bar space is a state-of-the-art ventilation system, ensuring guests a comfortable and fresh visit. The 100-seat bar/lounge and gaming area offers guests four distinct experiences to enjoy a smooth cigar and libation– the signature bar, the library, the courtyard and the vault room. The centerpiece of the bar/lounge is a round bar volume featuring bar-top gaming and plush seating upholstered in light and dark neutral hues. Wood paneling on the walls and ceiling add warmth to the space. The library’s neutral material palette is both industrial and luxe, and gives the space a residential feel. An oversized video wall made up of nine television screens will bring sporting events to life, making it a premier spot to watch big games. The courtyard space envelopes the back portion of Montecristo. Lush green design elements, a variety of seating groupings and skylight feature create an environment that blurs the line between indoors and outdoors. The 10-seat vault is the most intimate area in Montecristo, and will be highly coveted for groups looking to have their own space to enjoy the view. Montecristo Cigar Bar will also serve guests a selection of dishes to compliment the space and its offerings, to include: a selection of domestic and imported cheeses, charcuterie, spicy pork rinds and house-made vegetable chips. Lavazza coffee will also be available, including tableside French pressed coffee. Montecristo Cigar Bar will be located adjacent to Old Homestead, across from Nobu Restaurant and Lounge.